Enjoy private music lessons in Paris in the comfort of your own home. The American Conservatory of Paris’ faculty comes directly to you, at your time and day of choice. This program is the most convenient way to take music lessons in Paris. During the lessons, our faculty will be working one-on-one with the student teaching the technique and repertoire of their chosen instrument while developing a sense of personal responsibility and individual musicianship. Our faculty will also teach note and rhythm reading, as well as basic music theory to every student. Private lessons allow the teacher to cater to each student’s unique needs and abilities resulting in the most efficient development. We believe music is meant to be shared therefore each student enrolled in private lessons is offered two performing opportunities per year in a Parisian concert hall. One concert takes place halfway through the school year and the second at the end of the school year so that we can hear our progression. For families with two children or friends studying the same instrument, we offer paired lessons: 30+30-mins or 45+45-mins. These lessons are back to back at the same address with the same teacher. Finally, this program also prepares students for the non-mandatory Associated Board of the Royal School of Music Exams (ABRSM). The Conservatory encourages all students to prepare for these exams as they give a tangible goal to achieve and motivate students throughout the year. ABRSM is the most internationally recognized music examination organization. 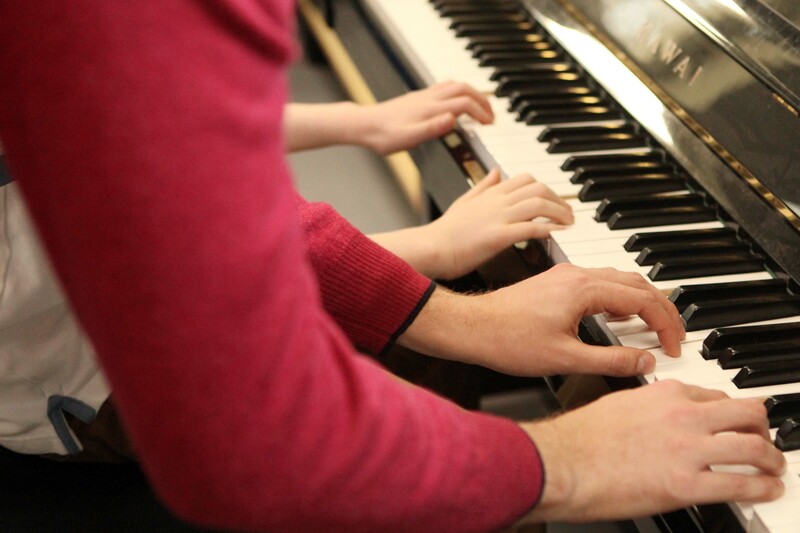 For students wishing to take the ABRSM exam, please consider signing up for our optional ABRSM Prep / Music Theory, which prepares students for the aural part of the examination and is part of the Saturday Conservatory. Saturday Conservatory can be combined with this program. Classes start the 3rd week of September. The day and time of your lesson will be decided directly between you and your teacher.